Solid-state nuclear magnetic resonance (ssNMR) represents a spectroscopic method to study non-crystalline molecules at atomic resolution. 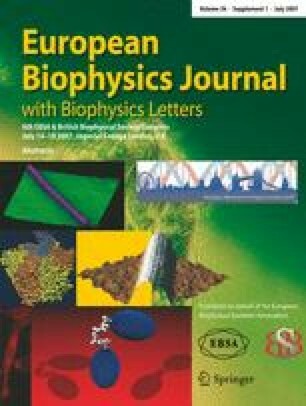 Advancements in spectroscopy and biochemistry provide increasing possibilities to study structure and dynamics of complex biomolecular systems by ssNMR. Here, methodological aspects and applications in the context of protein folding and aggregation are discussed. In addition, studies involving membrane proteins are considered. Work described in this review was supported through grants from the DFG, the FCI, the Volkswagen foundation and the Humboldt foundation, the EU and the Max-Planck Gesellschaft. I thank members of my group and our collaborators over the past 7 years who substantially contributed to work described here. Continuous support by C. Griesinger is gratefully acknowledged.